Are you someone who spends a lot of their time writing on their laptop, be it essays, novels, reports, or even simple news articles? Are you looking for a laptop that could best handle this type of job? If you’ve answered ‘yes’, you have come to the right article. We have explored the best laptop for writers and will share with you what we have collected from our research. These laptops are most suitable for writing, and we guarantee that these laptops are very reliable and comfortable to use. The best laptops for writers available on the market are depicted in the table below, along with their respective processor, RAM, and storage capacity. We have gathered the laptops that are most comfortable to use, can fit into your budget, and have more than enough computing power for writing alone. So without any further ado, here are the best laptops for writers in 2019. So now that you know what the best laptops are via the quick overview table above, let’s now move on over to the actual laptop reviews. Although one of the more expensive laptops, the Apple MacBook Pro is perfect for writers. Its sleek and compact design makes it easy to carry with you on the go. In addition, it comes with a force touch trackpad which will allow you to easily access information or necessary tools. It is also pressure sensitive to allow for fast-forwarding or zooming. On another note, the new MacBook Pro comes with an enhanced display, having more than 5 million pixels and displaying more vivid colors. 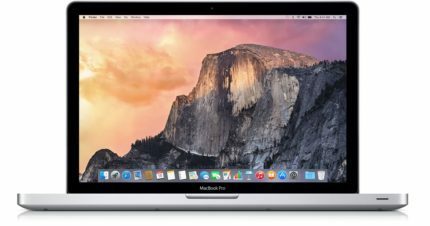 Battery life lasts up to 9 hours, and the MacBook Pro comes with a resolution of 2560 x 1600. Although the Lenovo ThinkPad T460 weighs a bit more than the MacBook Pro at 3.8 pounds and is not as thin, it is still compact enough so that it can be carried with you everywhere. It is one of the relatively inexpensive laptops, which is great for writers on a budget. The ThinkPad T460 comes with an anti-glare screen and a 1920 x 1080 resolution display, ensuring that you can see the screen even in the brightest areas. Moreover, this laptop’s Dolby Home Theater integrated stereo speakers allow for you to listen to clear and crisp surround sound audio, eliminating any distortions. On another note, the Lenovo ThinkPad T460 comes with USB 3.0 drivers, which also supports backward compatibility of USB 2.0 drivers. The keyboard of this laptop is very comfortable to work with, making this laptop have the best keyboard for writers. It has keys that are springy and close together, allowing you to type much more quickly. 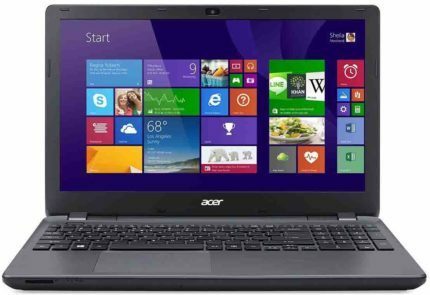 The Acer Aspire E 15 is the cheapest of the previously mentioned laptops, and it is the best laptop for writers on a budget. It is a 15.6-inch laptop that comes with a fairly large resolution of 1920 x 1080 pixels. The specs on this laptop are not only good for writing but can be used as a gaming laptop as well. Specifically, this laptop comes with 8GB DDR4 RAM, an Intel Core i5 processor at 2.2GHz, NVIDIA GeForce 940MX graphics, and a 256GB SSD. In addition, its battery can last up to 12 hours. The Acer Aspire E 15 comes with a backlit keyboard, which is perfect for night owl writers. 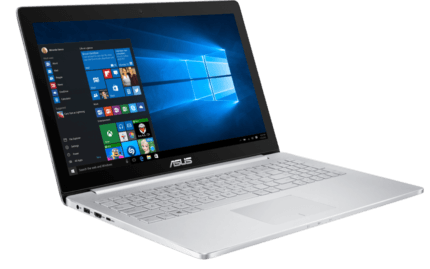 The ASUS ZenBook is an ultrabook that comes with a sturdy aluminum chassis. Utilizing a 13.3-inch LED backlit multi-touch display with a resolution of 1920 x 1080, the ZenBook guarantees vivid color and HD display. Similar to the Acer Aspire E 15, the ASUS ZenBook comes with a backlit keyboard, making it usable at night as well. This ultrabook also integrates 802.11ac wireless connectivity to ensure that you can connect to networks at longer ranges. The ZenBook’s battery life only lasts up to 7 hours, which is less compared to the aforementioned laptops. Resuming the ultrabook from standby only takes two seconds, meaning that you can get back to writing in an instant. 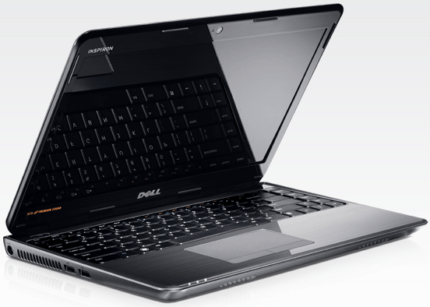 The Dell Inspiron comes with an Intel Core i7 2.5GHz processor and 8GB DDR3L SDRAM, which is upgradable to 16GB. In addition, it comes with a 15.6-inch display and a resolution of 1920 x 1080 pixels. The great thing about the Dell Inspiron is that it has a 1TB HDD storage. Similar to the ASUS ZenBook, the Dell Inspiron also has a touchscreen. With the Intel Core i7 processor, you will be able to quickly boot the laptop and load up web pages instantaneously with no lag. The studio quality sound card, Waves MaxxAudio, will allow you to hear the higher highs, as well as the lower lows. Want to find the best writing laptop for you that isn’t mentioned above? This buyer’s guide will walk you through the things you need to know to purchase the best laptop for you. By taking the tips we have gathered into consideration, you will be able to find the best laptop and understand the ideal specs that you will need for writing. One of the most important things to consider if you are a writer looking to purchase a laptop for writing is the keyboard. You want to make sure that you find a laptop with a keyboard that will let you type for hours without putting stress on your hands. When you are at a store, try typing with different laptops that are on display to find the perfect keyboard for you. Also, ensure that the laptop you will purchase has enough palm rest space to allow for comfortability when typing. If you are a writer who tends to write frequently in a dark setting, you may have observed how difficult it is to see the keys that you press on. For cases like these, finding a laptop with a backlit keyboard is a plus. Backlit keyboards are keyboards with built-in light effects to help you see the letters on the keyboard in the dark. As a writer, you will definitely be opening many tabs on your Internet browser as part of your research. You may have noticed that opening many tabs will slow down your laptop because it eats too much memory. As such, you will want to find a laptop with a decent amount of RAM that won’t slow down your laptop when you open a great number of tabs. Ideally, you would want to look for a laptop with more than 6GB of RAM. Some of the aforementioned laptops and many other laptops have 8GB RAM. If you find a laptop that is really comfortable to work with, but has less than 6GB of RAM, try to see if you can upgrade the laptop to have a higher RAM. We writers tend to multitask a lot to find information when writing our articles. With this in mind, you may want to look for a laptop with a bigger screen size so that you will be able to fit all of the necessary windows that you need to view on the screen. This will help you be more productive, as you do not need to keep switching between different windows to find the information you are looking for. However, some laptops have bigger screens, which tend to be heavier. This takes us to the next tip. Some writers are frequently on the go, writing their work in their office, in the café, or any other place outside. As a result, writers who are on the go should look for a laptop with good portability and is lightweight so that you will not run into issues carrying your laptop if it is heavy. If you are someone who does not write at home, you will want to look for a laptop with a longer battery life. This way, you will be able to continue writing without having to worry about your battery dying in the middle of your train of thought. The Lenovo ThinkPad T460 is a great option, as it provides you with up to 18 hours of battery life. We have reviewed the best laptop for writers in this article. By providing you with our tips to choose your best laptop for writing, you will be able to understand the core elements that are required of a laptop for writing purposes. Combining these tips will help you find the perfect and most comfortable laptop for you. 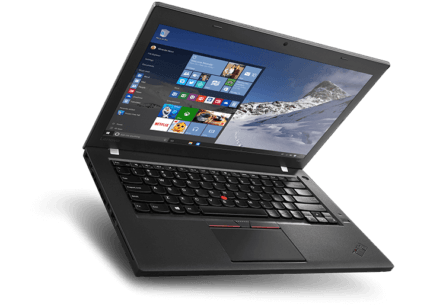 As for the winner of our roundup, we chose the Lenovo ThinkPad T460, due to its relatively cheap price and the vast number of features that it offers (ie. springy keyboard that is great for writing). The Lenovo ThinkPad T460 is not only perfect for writing, but it is great for gaming as well, due to its 16GB RAM.